Oh.Em.Gee! Just when you think you’ve perfected making a burger at home, someone has to come along with the Candied Bacon Cinnamon Roll Burger. You may have perfected the charbroiled burger. You may have figured out the golden ratio of beef to pork to veal to seasoning. 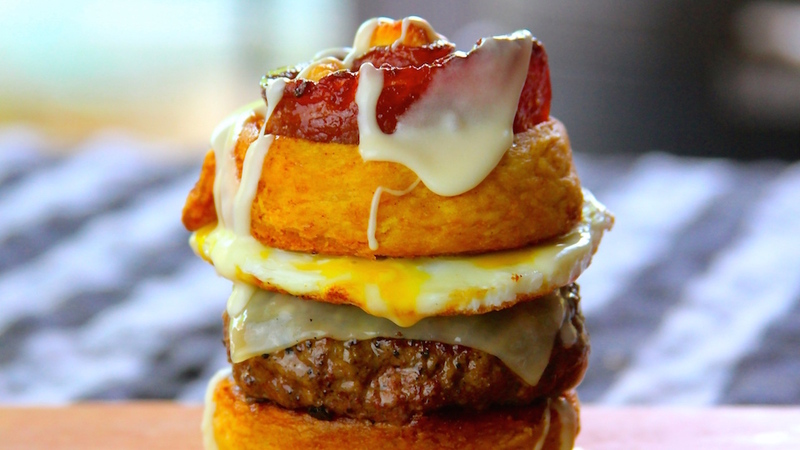 But my guess is you probably never even dreamed of a burger as outrageous as this! It took Clint Cantwell, head blogger at Grillocracy, to come up with this twisted yet ingenious combo. The burger is seasoned with a coffee dry rub for a dose of complexity that most burgers lack, and is topped with a fried egg and cheese just in case you’re (somehow) still hungry for more. And the bun? Well, it’s a cinnamon roll. A cinnamon roll wrapped around bacon. 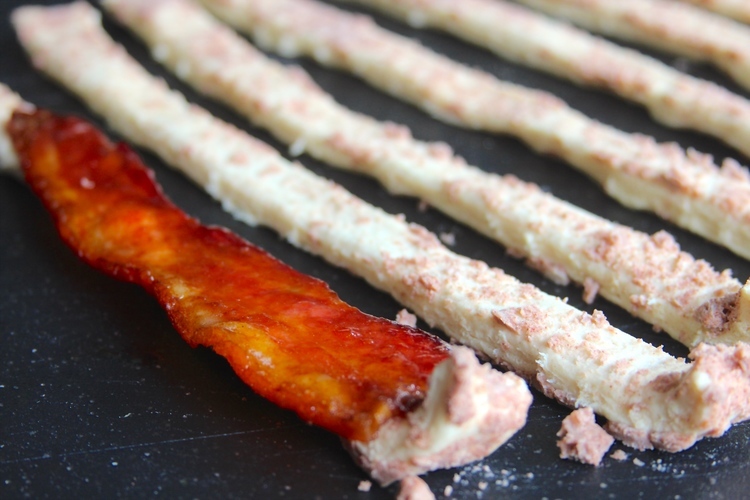 Candied bacon. It’s a candied bacon-stuffed cinnamon roll bun! If that doesn’t make for a heart-stoppingly perfect burger, then I truly don’t know what does. 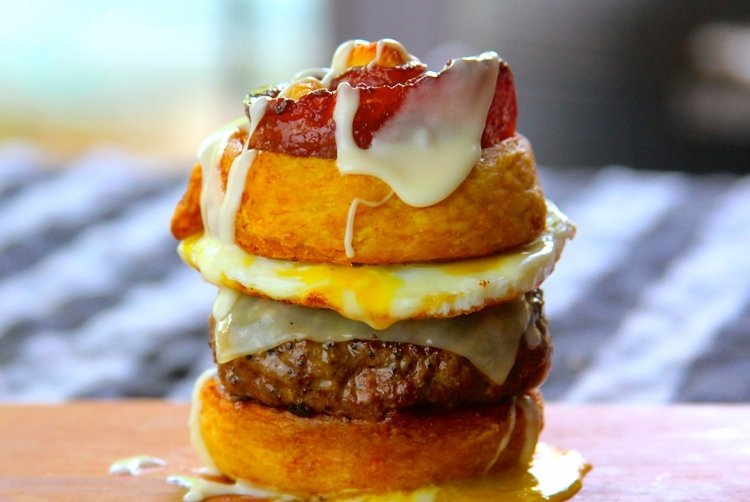 Once it is assembled, you have a coffee dry-rubbed beef patty topped with a fried egg and cheese, nestled between two sweet-and-salty candied bacon-stuffed cinnamon roll buns. Dreams? Yeah, it turns out they totally come true.